NATPE 2019 offers a wide array of exhibit options to meet your specific business needs. Most options were just steps away from the bustling lobby of the Fontainebleau Resort and never more than a five minute walk. Click on each available area to find the one that’s just right to showcase your company and products in 2019. If you have a specific question please contact your Sales Representative. Exhibitors can find all the information they need from available exhibition space to how to apply and finally how to register for NATPE Miami. 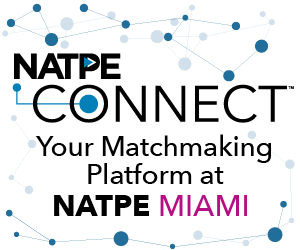 NATPE represents an opportunity to get your company, product or service in front of decision-makers who are charting the course for the content creation, delivery and technology of tomorrow.